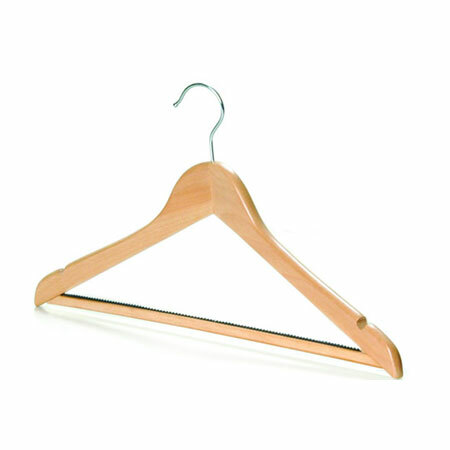 These high quality clothes hangers are made from 100% natural lotus wood making them extremely strong and ideal for displaying garments such as suits and jackets. The sturdy trouser bar allows you to hang multiple garments and the shoulder notches can hold skirts and straps making this hanger very versatile. The natural wood finish gives a high quality look, an attractive addition to any retail environment. Supplied in boxes of 100, they are great value for money.